We are delighted to publish this blog written by Marie Mamonia from Denmark. She is a mother, Reiki Master, poet, and a published author. She is the founder of We Make Peace. 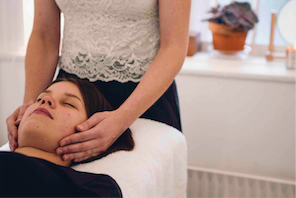 It is an absolute delight to share my Reiki practice and philosophy with you on this blog for IFWIP which shares so much fantastic information where new mothers can gain help and guidance through pregnancy. Probably one of the most important times of our life to be healthy and embody peace is during pregnancy. I work as an intuitive healer, Reiki master, EFT and Matrix Reimprinting practitioner. 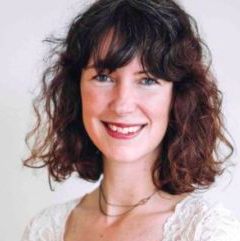 I am the owner of ReikiCph a clinic and a school for Reiki in Copenhagen, Denmark, and I am the founder of We Make Peace a non-profit working to spread peace awareness in schools internationally. My life’s mission is to help bring peace and balance to Earth and to help people be the best they can be. Every time we heal ourselves, we heal a part of the whole. By bringing people into wholeness I am fulfilling my divine purpose. This makes me a very happy healer. As a mother, when I think back on those first months of pregnancy I can vividly remember the feeling of wonder and awe at what was happening inside my body. It was all a little surreal and puzzling. I mean, you’re carrying another human being inside you. It was fascinating and thrilling to think about this tiny being growing and developing a little every day. I remember frantically trying to figure out what I should be doing. Panicking at the thought of what I could be doing that I wasn’t doing. Every other minute I was like: What is it I absolutely must do…? My mind was running on overtime trying to figure this all out. I didn’t understand the concept of surrendering to what was already happening, without me having to “do” anything. When I finally shared these feelings with my husband, he said: “Just actively allow it”. Then I remember just wandering around the month after month while my belly was growing with this grin of wonder and amazement on my face. All I had to do was to allow this miracle to happen through me. This perspective gave me a lot of mental relief and support throughout my pregnancy. This is why I am sharing it with you. Maybe those simple words “just allow it” will help you too. So I gave up worrying or stressing about anything. This meant that I could really be focused on my health and wellbeing. And not least putting my Reiki hands to good use! Everyday whenever I sat down, I intuitively did so with my hands on my belly, sending Reiki love to my baby for love, healing and the best possible outcome. Reiki is an energy healing system that promotes relaxation, restoration, rejuvenation, relief from stress, pain and anxiety. 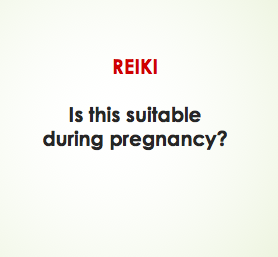 It is 100% natural and safe to practice Reiki during pregnancy. In my capacity as a Reiki master, I work with women who are journeying into motherhood. I always say Reiki and pregnancy go hand in hand. It is a natural and safe way to create ease and peace around your journey into motherhood. And anybody can learn it. I have taught several women Reiki whilst they were pregnant, and all of them have had healthy babies. 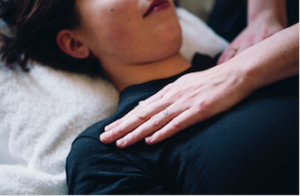 Reiki is a very simple hands-on healing technique. It is very relaxing and effortlessly removes stress and anxiety in the body so your little wonder can grow and feel at peace inside you through the trimesters. 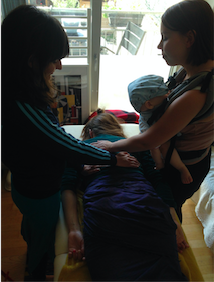 Furthermore, Reiki is said to promote a quick and easy birth experience, which is what most new mamas wish for. And you deserve it. So that is why I have devoted a particular part of my Reiki praxis to helping mamas through childbirth. Reiki means universal energy and is a gift that is available to us. Reiki is a higher conscious energy that knows exactly where it needs to go. It naturally treats the root causes of any ailment or symptom in the body, whether physical, mental, emotional or spiritual. It always supports you and speeds up healing processes in the body and naturally knows what is needed. I’m daily honoured to receive the universal energies through my own body. Each treatment is a unique experience. Not two sessions are alike. I welcome anybody to try this deeply nourishing and relaxing treatment. Reiki can also be sent successfully from a distance. This is what you learn in the Level 2 workshop. Because of my long life obsession with peace making, reiki really ticked off all the boxes for me. It is soothing, works on the actual causes of disease in the body, mind and spirit of a being. It harmonizes and brings balance. All qualities we are in dire need of on this planet right now. Peace will always be relevant. It is of the utmost relevance that we cultivate peace in our hearts, minds and bodies so that we can share this peace with the world. I believe that when we heal we find peace within. Healing is all about love, acceptance and forgiveness. It will have an incredible effect on our world when humanity finds peace within. We have to wake up from our infantile nihilistic meanderings and take responsibility for ourselves. For our words, thoughts and actions. When people can cultivate compassion, peace and love for themselves and one another, then we will experience peace in the world. We can all take responsibility for our water, our soil and our wildlife. We can be sustainable in our actions. We can choose not to use plastic, choose to recycle, choose to help strangers, be more loving and forgiving with our friends, be more charitable etc. We can all do something each day that brings more, kindness, acceptance and forgiveness into our world. I believe there are simple, yet profound solutions to any of the challenges we face. Yet, we have to take it upon us to make that change. To be the change we want to see. Peace begins with you and me, peace begins with each of us choosing peace.